This is a sponsored post written by me on behalf of Spray Nine. All opinions are 100% mine. Owning a boat is all fun until winter comes around and you start fretting over how to store it. When the cold season starts creeping in, it means it is time to put away your favorite summer toy. Winterizing your boat is stressful, but it has to be done. You can’t just haul a vessel out of the water and into the backyard garage and think that is it. For one, doing that could cause damage that would demand astronomical costs to fix. Then there is a chance of voiding the warranty, which can be upsetting, especially for a new acquisition. So, how do you get that boat ready for winter? You need to know which parts of a boat have to undergo the winterization process because the machine’s components are sensitive; and therefore, proper maintenance is necessary. Like any vehicle, an oil change is crucial before storage, so change the filters and flush the system then top up the oil levels. Maintaining an almost full level in the fuel tank and addition of a stabilizer prevents condensation, which is one of the biggest worries during winter. You can also consider adding carbonizing treatment to the fuel to remove the carbon that builds up in piston stops and cylinder heads. Running the engine for a few minutes ensures that additives get to the gas that is already in the fuel lines. You can ask a professional mechanic about the best additives to include in your fuel tank when winterizing the engine. The coolant system is another section of a boat you have to prepare for the cold. Start by draining the coolant and flushing the system with cold water. 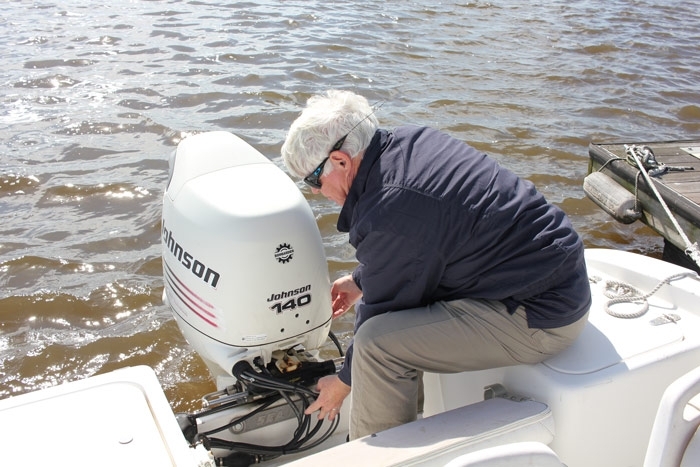 Boat manufacturers include flushing instructions that are specific to a boat, so consider them. After that, add non-toxic antifreeze that is diluted correctly. Conduct checks for the belts, hoses, sterndrives and inboards, anodes, running gear and don’t forget to check the batteries. Remove all electronics from the boat to prevent moisture damage. Clean the boat’s hull and deck to remove dirt, debris, and grime from the surface. Washing off salt water from the interior and exterior of a vessel reduces the risks of corrosion. Waxing after cleaning also helps. There will probably be a whole suite of different cleaners you'll be using here, but it's important to make sure you have something that is both tough enough to work but contains no bleach or corrosive chemicals that might be bad for sensitive marine environments. Spray Nine has a few different products that can help here, including their Heavy-Duty Cleaner / Degreaser that's great for cleaning everything from deck surfaces to seats before you put the boat away for the winter. See what Spray Nine Heavy Duty can do for you. While you are still going to need to do a cleaning of the boat before you put it in the water again, by cleaning it now you can save time and it will also serve as part of our inspection to make sure you don't have any maintenance issues that need to be addressed over the winter. 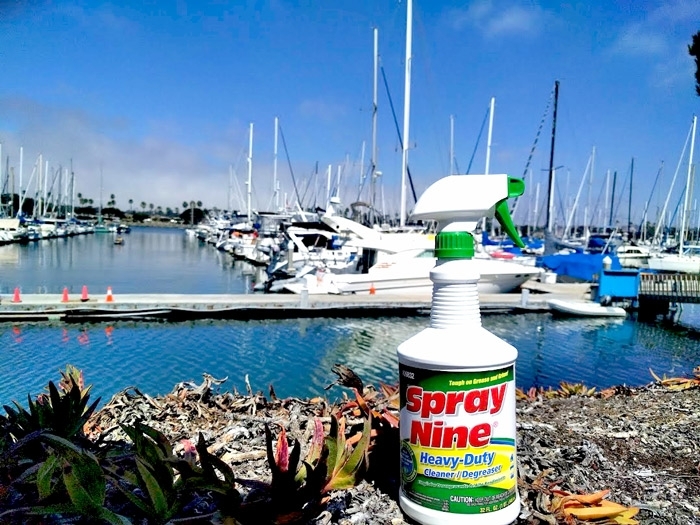 Spray Nine is great for use on the fiberglass hull to get rid of any bird poop and dried seaweed that might have accumulated over the summer and it's also tough enough to clean up engine areas without damaging sensitive hoses and electronics. Don't believe me? There's a $3 coupon waiting fr you on their website when you Take the Spray Nine Challenge. and I think you'll be impressed with how it performs. Just like with checking the mechanical parts of the boat, it's better to know now then find out later. Make sure especially to inspect items such as life jackets and first aid kit, but also water toys and fishing gear. Once inspected, pack them away securely so they are safe over the winter. Plus, the nice thing about buying these supplies in the fall is that they can be cheaper due to "end of season" sales! After prepping the boat and its systems, you have to find the best place to store it. The options vary from your backyard to renting a storage unit. 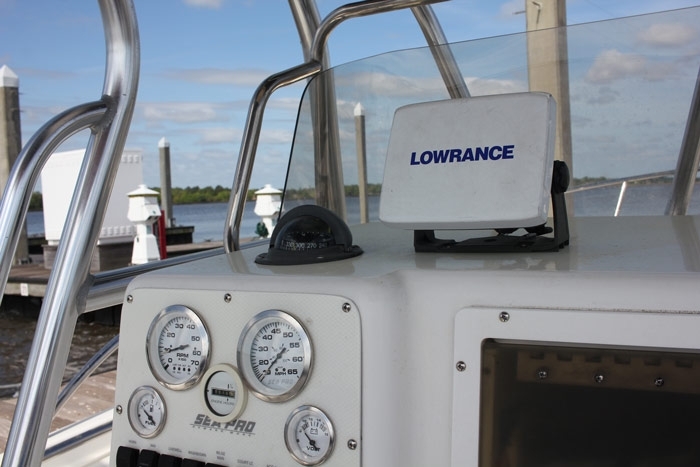 Whatever choice you make, ensure that it provides sufficient security for your boat. Then think about the issue of accessibility. Will you be able to reach the vessel for routine checks? If you are storing the boat in a yard, ask if there are maintenance services available or if it’s all up to you. In case the boat is staying in your backyard, consider the covering alternatives because you can’t leave it out in the open. Remember that the storage location of your boat will also determine the level of care it requires to survive the winter season. How Much Do You Know About Beer?